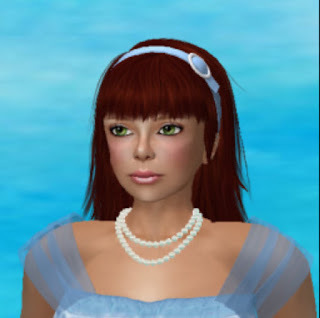 Q- Ruby, what would you like people to know about you, physical world (RL) and/or Second Life (SL), either or both? Ruby Vandyke- I've been at SL 11 years and have enjoyed every minute of it. I've had so many good experiences at SL and made friends with some great people. In RL I live in Canada and am pretty isolated, so I rely on SL for friends and socializing. Q- You are the head of the Ambassador Team that is working with a research project in Second Life sponsored by Boston Medical Center. Can you say a little bit about what that research is trying to do? RV- The research project is working to educate women with Diabetes about managing their Diabetes. They meet in SL weekly for 8 weeks. They receive information about Diabetes and share their experiences with each other. Q- Before you could work with these women on this research project, you had to do some preparation. Please tell us about that. RV- I had to take a CITI course to learn about research ethics and confidentiality when working on a research project. The CITI course taught all about research, records, ethics, working with children, populations of vulnerable people and other topics. I also had to pass a test on the course. Now I am certified to work on this and other research projects. Q- What do you mean, confidentiality? RV- Women participating in this research project share personal details about their health and their lives. They need assurance that I will keep anything they say confidential. I won't repeat it to others. Q- Right. So that part of the course was about how we treat the participants. You also learned about the ethics of how research projects are supposed to be designed. RV- Yes, to make sure all participants are informed and have given proper consent. Q- You actually work with 3 three different groups here: the other VAI staff on this project, the research staff from BMC, and the participants. What do you do with the other staff? RV- I have worked with several other VAI staff on this project. They also have completed the CITI course as well as Ambassador training so they can help new residents. I keep in contact with the VAI staff to let them know what will be happening during our session each week. I provide them with any information they might need, such as a list of BMC staff members. During the session, I assign them to various tasks, such as helping some of the participants with exercise equipment. I remind the VAI staff of our role in the overall project, which is to help the women participants learn how SL works. How the viewer works, what SL is about and encourage them to explore SL on their own in hopes they will decide to remain at SL once their sessions are over. The VAI staff are a tremendous help with this project. Q- The BMC staff have several other roles. What types of things do they do? RV- The BMC staff lead the educational part of the sessions. They hold discussions with the participants and do slide show presentations. Some of the BMC staff are also technical support, so they help the participants with computer problems. Q- And your VAI staff help the BMC staff sometimes. What advice can you give other researchers about preparing their staff to work on a project in SL? RV- Researchers need to make sure that their staff are fully acquainted with SL before they bring in the participants. Their staff also needs to keep in constant contact with the VAI staff so we know what areas they need help with. Q- You've also helped the staff reshape the curriculum based on how things go with each cohort. Can you say a bit about that? RV-Yes, when this project first started, the staff had envisioned a much wider range of activities for the participants to do at SL. But we quickly realized that it was too overwhelming for them. Just learning how SL works was so time consuming and frustrating, they couldn't cope with trying to do things like go exploring other places at SL. So over the past year, we have managed to streamline their sessions to make it easier for the participants and now they are enjoying their time at SL more, which is nice to see. Q- To help with onboarding the participants, BMC creates the participants' accounts for them, and you create their customized avatars. Is this part of that streamlining? RV- Yes, one of the most difficult things to teach the participants was how to change clothes, especially individual pieces of clothing. We found that it was taking too much time and the women were becoming too upset over not being able to get their clothing to look right or ending up with no clothing on at all. So we decided to try making complete avatars for them with the change of clothing. Now all they have to do is click on the clothing folder they want to wear and replace their current outfit. It has proven to be very successful and the women are excited to be able to change clothes quickly. When they register for the program, BMC staff create an avatar account for them. Then I log in as each avatar and transfer all the clothing folders they will need for the course. This way their inventory is complete and ready to go from the first session. Q- Ruby, you built the research site on Independence island for BMC. There's a lot for participants to do there. But each week, instead of going on a field trip as was in the initial plans, the women get to do a special activity that you set up. Please tell about a few of those. RV- The BMC staff has asked that instead of taking the women on field trips, we bring the activities to them at the WIC Center. They let me know what activity they want to do each week and I set it up for them. One week they will swim, so I put up a big swimming pool with animated float rings and we provide swimsuits for them too. Another week they ride bicycles around the sim, so I provide the bikes and a cute exercise outfit for them to wear. Towards the end of the sessions, they have a fashion show. I set up a catwalk and provide them with evening gowns. That's always a big hit with the women! Q- The women participants are all coming into SL from their homes. This leads to the inevitable problems. RV- Yes, the participants are provided a laptop to use by BMC for this project. They are each in their own home when attending their sessions at SL. One big problem is that most are not familiar with using a headset or talking over voice. So they forget to turn off their microphones when they are not speaking. Many of them have small children or are babysitting children, who can be quite noisy in the background. They also frequently have TV's on loudly. So we are constantly having to remind them to turn off their microphones. Of course, that leads to another problem of them forgetting to turn their mics back on when they do want to speak. But after a few weeks, most do get the hang of it. RV- The participants need to receive several trainings in how SL works, what buttons they need to know on the viewer, how to walk, sit and stand. Most of them have no prior computer experience, so that makes it even more difficult to learn how to do things in SL. If the participants have training before their sessions begin, then we don't have to cut into their educational time with trying to talk them through how to sit. Q- You've been a builder in SL for a long time, so I know one thing you enjoy is creating these venues and materials. RV- Yes, it is fun and I like the challenge too. I'm always happy to be able to provide the items the BMC staff need for this project. I also have to be able to make on-the-spot changes to the build. 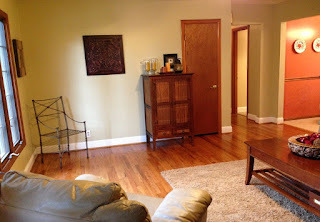 For example, the women were having difficulty getting the front door to open, so I had to quickly remove the door. Or they would get stuck in a fence or wall, so I would temporarily make it phantom so they could walk through it. Q- I hope it's not giving away your personal health information to say that you don't have diabetes. I'm interested what you've learned about managing diabetes from your work with this project. RV- No, I don't have diabetes. Actually, I have the opposite - low blood sugar. But my husband does have diabetes, so all the information I've learned from this project, I can put to good use. Q- What is your favorite memory of this project? RV- Seeing how much fun the women have when they do the fashion show. They are so amazed when they see themselves wearing an evening gown. They giggle like school girls going to the prom. When they walk down the runway to model their dress, they are laughing with each other. They really get a kick out of it. Q- Anything else you'd like to say about being able to assist with research in SL? RV- I always enjoy assisting with research projects in SL. It's nice to be able to help others and it's also a learning experience for me. Q- Would you encourage other researchers to use SL as the site for their research? RV- Oh yes! SL is a great place to do research. Participants are more apt to feel like they can speak freely when they are not having to face someone in real life. There are so many activities that you can do in SL that would be impossible for every participant to do in real life. It makes learning more fun for people. 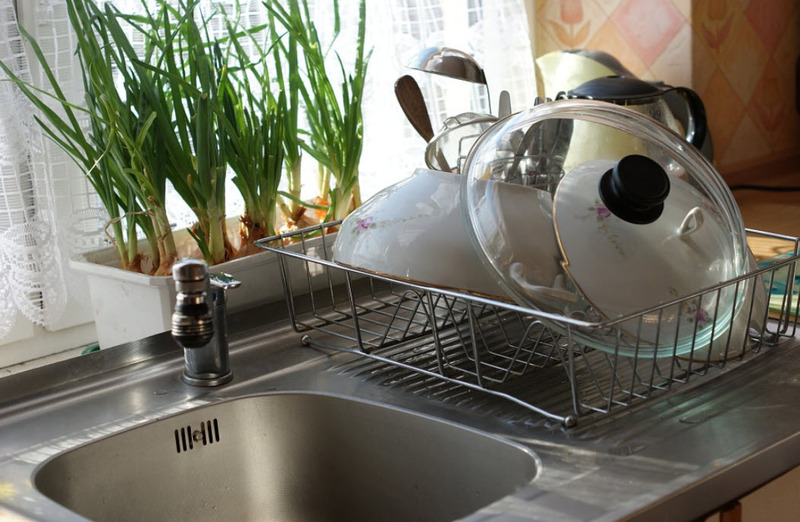 Sink and bathroom drains and the kitchen garbage disposal may become clogged and unable to drain properly. They also sometimes have an unpleasant smell. Here’s how to avoid these problems using only common kitchen ingredients. In addition to clogged drains, stainless steel sinks show water spots. To remove them, be sure all dishes are out of the sink and any visible food particles or other material is removed from the drain. 1. Wet a soft sponge. Sprinkle the entire sink surface with baking soda. Rub it in a circular motion to softly clean the surface. 2. Rinse the sink with a drizzle of vinegar. Baking soda and vinegar will fizz, cleaning and disinfecting at the same time. 3. Use the skin (not white) side of a piece of orange or lemon peel to rub around the entire sink. This will help deodorize the sink basin. For your safety, turn off the fuse or the source of electricity to the garbage disposal unit. You do not want it to accidentally turn on when your fingers or tools are inside! Use tongs or chopsticks if you can to remove any material visible inside the disposal. Flush the drain line: 1. Plug the sink. 2. Turn the fuse back on or reconnect the electricity. 3. Fill the sink with about four inches of water. 4. Turn on the disposal as you remove the sink plug. Pulling the water through the drain line should rinse it out. 1. Pour ¼ cup of baking soda into the drain. 2. Pour on 2 Tablespoons of vinegar. 4. Run the disposal as it fizzes for about a count of ten. To freshen the smell of the disposal, put a few home-made disposal refresher tablets (recipe below) or some citrus rinds inside, turn on the water, and run the disposal. Don’t wait until a drain is clogged to clean it out. You can add this strategy to your weekly cleaning routine and avoid clogs entirely. ¼ cup cream of tartar. 2. Bring 2 cups of water to a full boil. 3. Meanwhile, wipe around the drain with a paper towel. Clean any yucky stuff out of the drain that you can pull out with your fingers or other tools. 4. Pour half the powdered mixture down the drain. Pour in the boiling water and let it work on the pipes for about an hour. Then rinse with cool water. 5. If the drain is still a bit clogged, repeat. 1. Pour 1 cup baking soda down the drain. 2. Pour on 1 cup vinegar to create a fizz. 3. Let it set overnight. 4. In the morning, pour 2 cups boiling water down the drain. 5. Then rinse with cool water. 1. 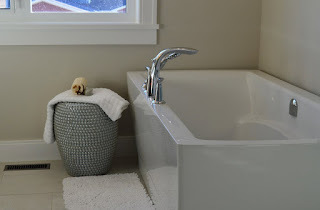 Fill the sink or tub halfway up with warm water. 2. Use the toilet plunger to clear out the clog. 1. In a small mixing bowl, stir together the baking soda and salt. You don’t want lumps. 2. Grate the lemon peel onto the dry ingredients. 3. Then add the liquid dish soap. 5. Cover a cookie sheet with parchment paper, foil, or wax paper. 6. Use a teaspoon measure or other small scoop or spoon to mold the mixture. Tap these rounds out onto the covered cookie sheet. 7. Allow the rounds to dry overnight. 8. Store the dried refresher rounds in a sealed container.